Our sixth Mary Quaile Club event took place in Ashton-under-Lyne and was a celebration of the life and politics of Hannah Mitchell (1871 -1956). 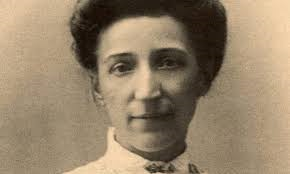 Hannah was a socialist and suffragette who lived in Bolton between 1900 and 1910 on Elizabeth Street. The Day was held in Topaz Cafe on Katherine Street and was well attended. It was chaired by Bernadette Hyland. We opened with a song England Arise, sung by Jennifer Reid. This was written by the socialist Edward Carpenter and was the unofficial anthem of the socialist movement in the early C20th. 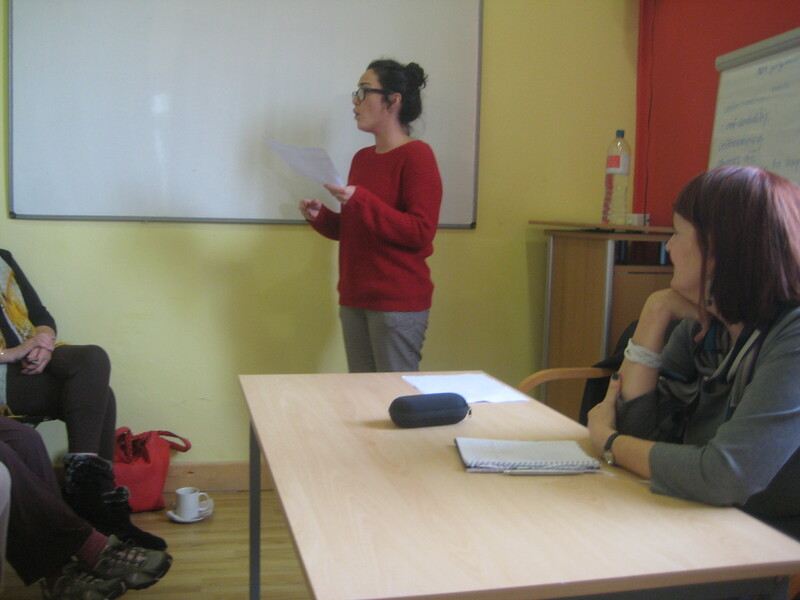 Jennifer is a member of the Mary Quaile Club and researches and performs C19th ballads. Michael Herbert and Rachel Austin gave a joint presentation about Hannah as a socialist. Michael explained how she became a socialist after reading The Clarion newspaper and hearing Katherine St John Conway speak. He also talked about Hannah role as an ILP councillor in Manchester in the 1920s and 1930s. 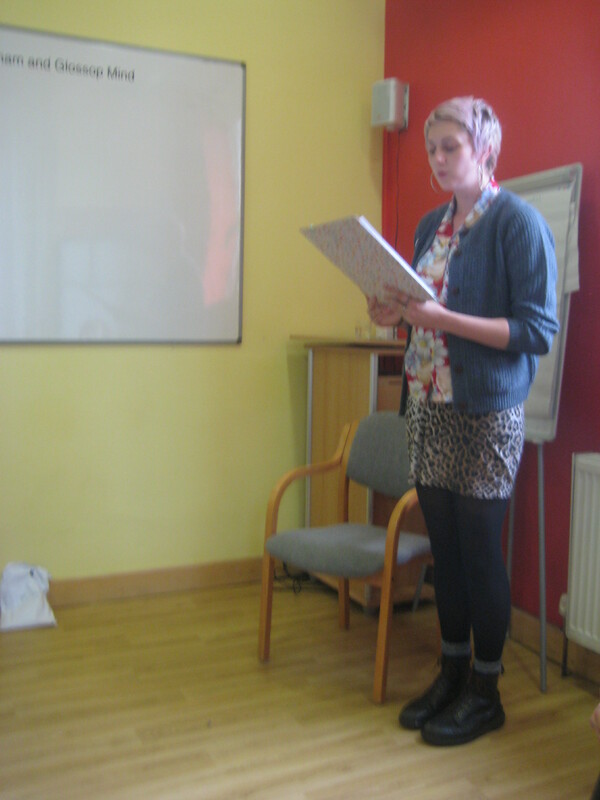 Rachel illuminated the talk by reading extracts from Hannah’s autobiography The Hard Way Up. Michael is a socialist historian who teaches history and leads Red Flag Walks. Rachel is an actress who has played Sophie Lancaster in Black Roses at the Royal Exchange and Jemima Bamford in Manchester Sound: The Massacre for the Library Theatre. Ciara O’Sullivan then looked at Hannah’s role as a suffragette in the militant campaign for Votes for Women, led by Christabel and Emmeline Pankhurst. Hannah knew the Pankhursts as fellow socialists and joined the WSPU in 1905. She was very active in the camapaign for two years speaking at many meetings up and down the country but then suffered a nervous breakdown because of overwork. Shockingly the Pankhusts never contacted her. When she recovered Hannah joined the Women’s Freedom League led by Charlotte Despard. Ciara is a member of the Mary Quaile Club. Christine Clayton discussed the activites of the No Conscription Fellowship which supported the men who refused to fight in the First World War. Hannah’s son Frank appeared before a Military Tribunal and was granted exemption. Conscientious objectors were often very badly treated in prisons and in work camps and 73 died. 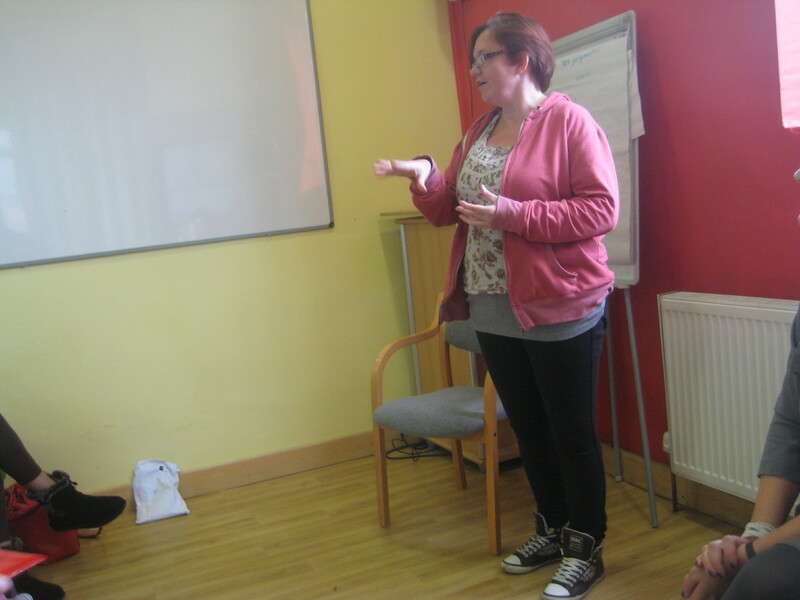 Hannah was involved in a number of anti-war meetings in Manchester. Christine is a historical researcher and volunteer at the Working Class Movement Library. To round off the morning session Rachel read two stories written by Hannah in strong Lancashire dialect which appeared in Labour’s Northern Voice in the 1930s. At lunchtime we enjoyed an excellent vegetarian buffet of sandwiches and wraps. Our afternoon session began with Eileen Murphy performing her monologue Hannah, written by her in 2001, in which Hannah talks about her life and political activity. After her performance Eileen explained how she came to write the play and answered questions. Our last speaker was Charlotte Hughes who is campaigning in Ashton against benefits cuts and assists the unemployed with advice and support. She explained the constant pressure that the unemployed were under with sanctions being rountinely applied by the Job Centre. This was followed by a discussion to which many in the audience contributed. We finished with another song, The March of the Women , the suffragette anthem written by Ethel Smythe in 1910, again sung by Jennifer. 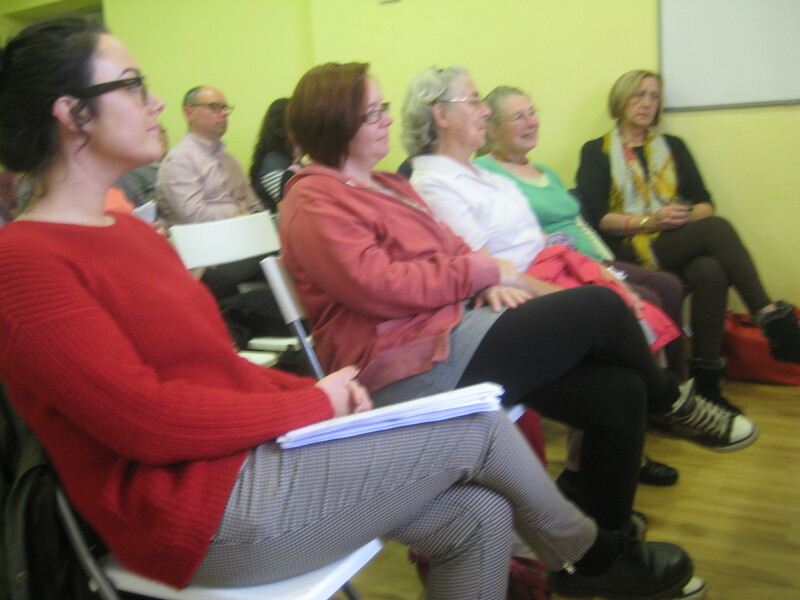 Our thanks to all our speakers and contributors and to Kevin and the staff at Topaz Cafe. England Arise! a play about being toured by Bent Architect theatre company around the north. It will be at the Peoples History Museum on 14 and 15 November.